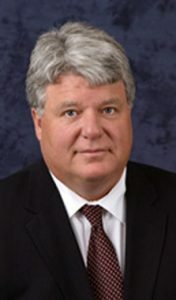 Terry founded Bomier Properties, Inc. in 1990. The full service brokerage firm specializes in commercial real estate throughout Northeastern Wisconsin with a focus on the Fox Valley area. One of Terry’s keys to success is always being prepared – knowing the marketplace and being proactive whether working on the business or helping a client. He treats all clients the same, scouring a designated area to provide the best representation of choices and diligently following up to capitalize on time and opportunities. Terry graduated from UW-Madison in 1977 with a B.S. degree, he soon after moved to New York and it was while in New York that Terry developed his interest in commercial real estate and began taking real estate courses at night at New York University. In 1980, Terry returned to Wisconsin and ran a successful industrial company. He followed up on his interest in commercial real estate and obtained his license in the summer of 1983. A year later, while working for the largest commercial real estate firm in the area at the time, he earned Salesman of the Year. He sold the industrial business in 1986 and started a real estate business with a partner. Four years later, Terry left that company to launch Bomier Properties. The REALTORS Association of Northeast Wisconsin (RANW) honored Terry in 2003 with an Excellence in Professionalism Award. Terry Bomier possesses over 30 years of experience in the commercial real estate business. His clients can be assured they will receive dedicated attention and all the benefits of his decades of experience in the industry.